All things being equal, would your business rather pay more or less for electricity and natural gas? I’ll make the assumption you said less. Would it surprise you to find out most people pay more – more than they have to? In fact in most cases we find that 72% of businesses are being OVERCHARGED but don’t even know it. So how would you find the best price for your business? charges buried on page 5 of a contract. Would you limit your search to just 3 potential energy providers? If you limit your search to just a few energy suppliers – How would you know that you truly had the best price available? BidPoint has developed a system that gets the top-tier energy providers competing for your business. This system will reveal the best price available – How much would you pay to have access to a system that finds best pricing? Well you can put the checkbook away – we won’t ask you for your credit card either – you won’t pay Bidpoint to find best pricing. You’ll have full access to our system through a personal one on one connection with one of our agents. BidPoint will find your best price, present the findings to you, and if it’s advantageous to switch, BidPoint will arrange all the paperwork for you to take advantage of lower energy costs. Only then does BidPoint get paid and like a buyer’s agent in a real-estate transaction, BidPoint gets paid by the seller – the energy supplier – no additional charges – just like a real estate transaction commissions are included in the price quoted. Almost sounds too good to be true – that’s what we thought too. And we love it. Not only will we do this the first time. But we will manage the process over and over again – Don’t slip into higher rates because you failed to renew energy agreements in time. 90 days before your contract expires we’ll start the process all over again. Insuring you always stay in best pricing year after year – on and on – never pay more than you have to. With a no risk – opportunity to discover best pricing – is there any reason you wouldn’t want to take action now? If you’re like the majority of people who have read this post, you’re probably interested in a viable way to supplement your income if it doesn’t mean having to change careers, take on a second job, become an Internet whiz or push products on friends and family. In fact, you’ll be very happy to see that many people just like you are partnering up with our company and creating both supplemental and life changing incomes in relatively short periods of time. In fact, after you read this, you’ll probably agree that this is the best residual income business opportunity out there. Regardless of your background degree or no degree, young or old, part time or full time. Many people just like you are capitalizing on what our company offers. 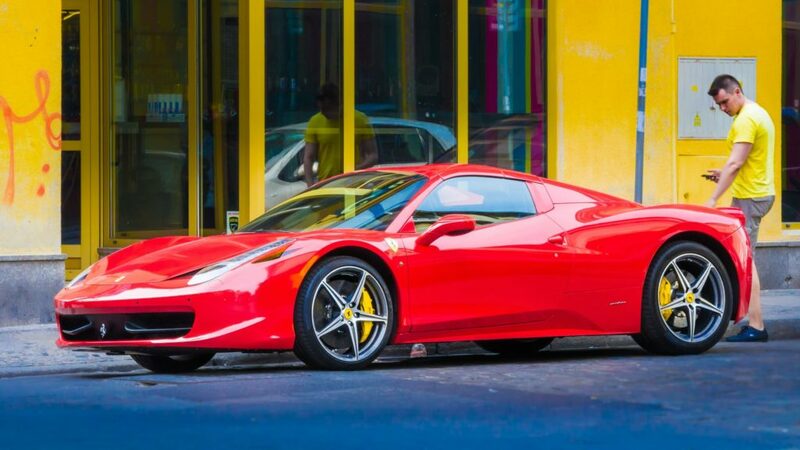 In fact you could potentially make thousands or even tens of thousands of dollars in residual income just for your referrals. Salespeople, realtors, mortgage and financial service pros, entrepreneurs, single moms to ceos and regular people in communities all across America are cashing in big time already. So what are these people doing to supplement their incomes? They’ve decided to become BidPoint energy advisors. Question number one: what if you could make money on the energy usage of businesses in your community? Question number two: what if getting paid on those energy bills merely consisted of asking someone an eight second question? 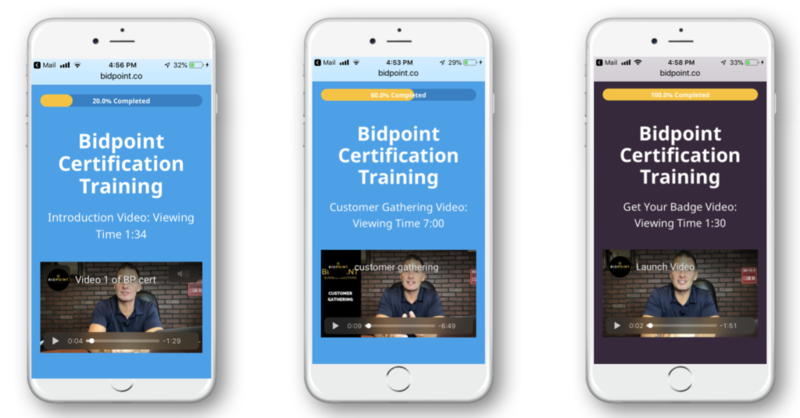 BidPoint is an independent sales and marketing team that is helping people just like you capitalize on the massive $750 billion dollar business energy market by paying you handsomely for your referrals, and the best part is there’s absolutely no experience necessary, no real training needed, and you never have to sell anything or ask anyone for any money. …However, you may not realize that one of the largest financial strains on those businesses are their utility costs. In fact, in almost all cases, these businesses are being significantly overcharged but don’t even know it. Now, as a BiPoint advisor, you have the ability to seriously help those businesses and again, you don’t have to sell them anything and it won’t cost the business a dime for what you are about to do. Now, the only thing you really have to do is get a copy of a businesses energy bill and most of our affiliates have been successfully using that eight second question I mentioned earlier to do so, so here’s the question that you can share with any business owner that pretty much works every time. Now, once you have a copy of their bill, you’ll have access to our proprietary real time energy bidding portal. Now you might be saying to yourself, I don’t know anything about rates or energy stuff or whatever, and that’s okay. 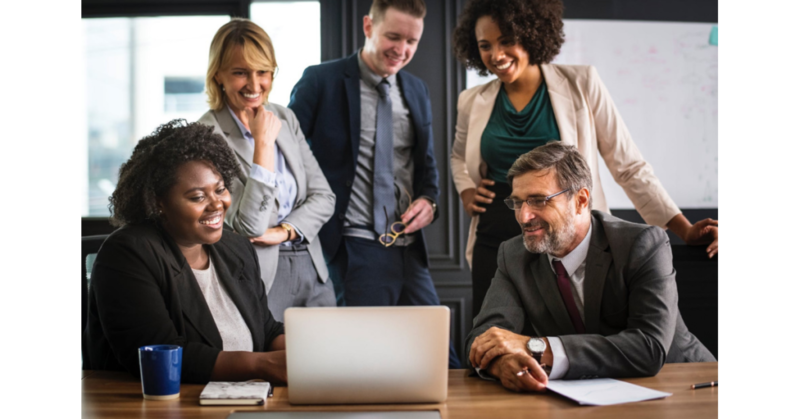 You see, all you have to do is fill out some basic information from the bill and then our software and energy consultants team takes over….and this is where the magic happens for both you and the business owner. Since Bidoint has the largest collection of relationships with major energy suppliers in the country (over 75 to be more exact). You can have confidence that the business you’re trying to help is going to get the best non-biased quote and best pricing scenario. Now, after the bidding process is completed, you’ll receive the suppliers offer and be able to present it to your business, allowing them to choose which offers the best solution for their needs for the customer. In most cases nothing changes. They’ll continue to get their bill from exactly the same company, but now they can be confident they are getting the best deal for their business in their market. Now, because you connected the supplier with the business for us, you’ll be paid a referral for that customer. This means that every month, for the life of the customer, you’ll be paid a residual check on the usage of the energy the business uses. The best part for you and the business is that you are paid on usage, not on price. This means we want to get the lowest possible rate for the customer because then you become their energy advisor for life. Now, whether it’s a big savings or a little savings, it all adds up and the savings are important to those businesses. We can help any type of business, big or small, nonprofit or for profit, even government offices and buildings. As you can see, it’s a very simple and extremely profitable process. Now, you may or may not be interested in this opportunity, but imagine how it would feel to finally take the financial pressure off. Imagine how it would feel to quickly reduce some debts. Imagine having more time to do the things you want to do. Imagine having all that and more just because you helped the business out with something they have to have. In any event, thank you very much for checking this out and we hope you choose to join the team at BidPoint. CLICK HERE TO GET MORE INFORMATION NOW! We have a VERY SIMPLE process of getting you started as an advisor and there is no enrollment fee or monthly fee required of any kind. All you have to do, if this is something you want to pursue is go through a brief video tutorial certification program and that’s it! Want to learn more about the energy market before jumping in? 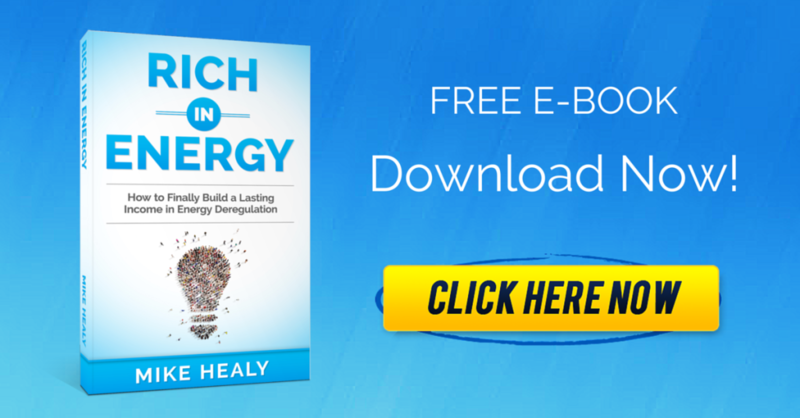 Download BidPoint co owner, Mike Healy’s FREE book, “Rich in Energy”. In it he breaks down everything you need to know to capitalize on this multi billion dollar market and build a real residual income. In this Bidpoint business tip you’ll see the tool we use to shorten URL links so they are more easily used in social media. No one likes to waste money…especially business owners. In this Bidpoint Business tip, we go over a fantastic outsourcing group you may have not heard of. You can get practically anything done for pennies on the dollar. One of the hardest things to do is try and explain over the phone or even in an email something that has to do with directions on a computer. Things as seemingly simple as filling out a form can be hard for some people to comprehend. Solution? This Free screen record software that we use to easily communicate with our clients and sales force alike. Watch the video to see how you can quickly implement this tool to simplify and streamline your communication. Here’s the Problem: Your business needs great images and graphics for branding. Solution: This free software platform gives you the best opportunity to make graphics, custom images, PDF’s and pretty much anything you can think of graphically to use on your website, emails, or social pages. One of the biggest problems most businesses face is not having clients or potential clients open their emails. You could spend thousands of dollars to acquire leads to join your list but then never have them take any action due the bombardment of all the emails people get daily. So how can you increase your email open rate? Watch this short video on how we at BidPoint fixed that problem and increased our open rates by 31% resulting in 17% more revenue. Yep, you read that right, a single account for one of our advisors is going to pay him approximately $975+ per month for the next 3 years….how cool is that!? Here’s an update video from co founder, Mike Healy.